Kate Mohan recently celebrated her birthday with a very specific request to her birthday guests. Kate made the incredibly thoughtful gesture of asking that her friends and family make a donation to St James’s Hospital in lieu of gifts. 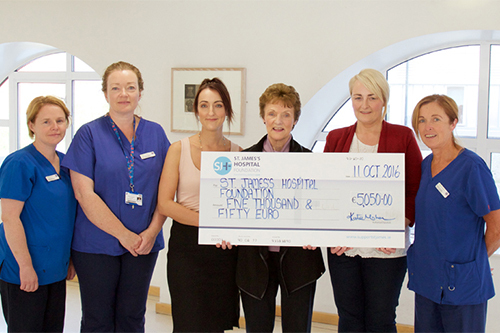 Kate recently came to the hospital to meet us and presented us with a generous cheque for €5,050. 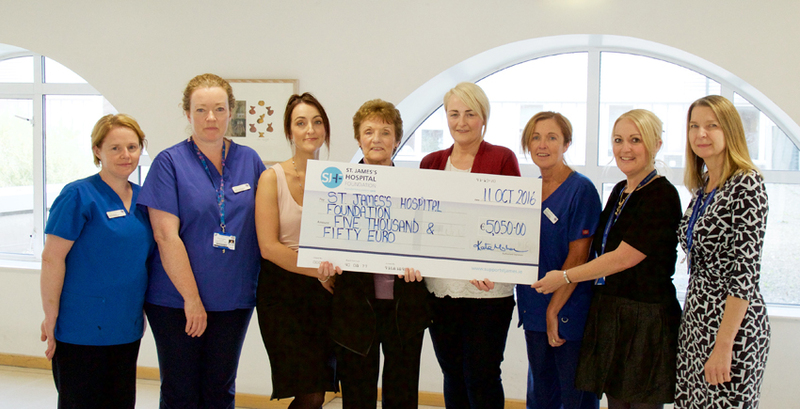 This money will go to the Denis Burkitt Ward at St James’s Hospital in memory of Kate’s sister Patrice. We would like to say a big thank you to everyone who contributed to Kate’s birthday fundraiser and to Kate for forgoing birthday presents to raise this fantastic amount of money. Well done Kate, and happy birthday!